India’s longest running show CID has created a mark for itself with its intriguing cases and the cast. ACP Pradyuman, Daya and Abhijit have become iconic characters who are loved by 6 to 60 year olds equally. On January 21st, 2015, the legendary show completes a milestone of 17 glorious years as it enters its 18th year. 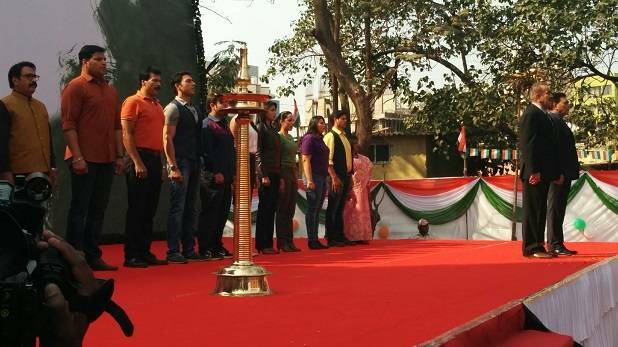 Celebrating this landmark year, this Republic Day, the show is all set to entertain its fans with a daylong CID special feature – Jashn-E-CID. From 8 am to 10 pm, viewers will get to see the most exciting episodes of CID over the years. In fact, the pilot episode of the show will also be aired on 26th January. The dialogues ‘Daya darwaza tod do’ and ‘Kuch toh gadbad hai’ are considered one of the cult dialogues of our times. The audience will also get to see how these lines became so iconic! But this is not it, the CID team will spend the day with their little fans, children and share their experience and memories. These interactions will be showcased in between episodes throughout the day.